A serene encounter awaits with Issey Miyake L’Eau d’Issey Pure, a floral-aquatic fragrance collection with an invigorating nature. 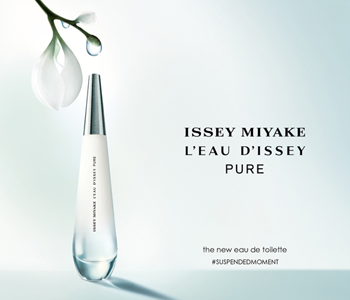 The second chapter in the history of L’Eau d’Issey, L’Eau d’Issey Pure celebrates the beauty in simplicity with a fragrance that is elegant and enigmatic. Presented in a bottle shaped like a drop of water, L’Eau d’Issey Pure is both uncomplicated and extraordinary, a fragrance range surrounded in blissful tranquillity.